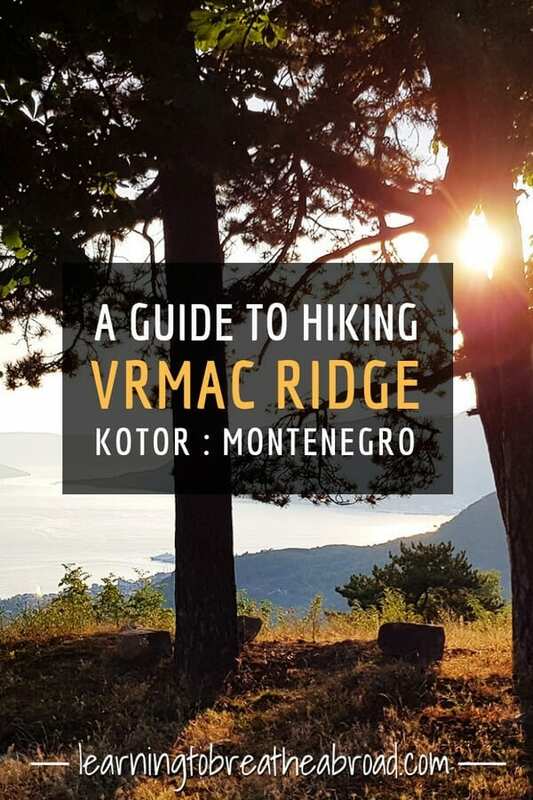 If you’re looking to be a little more active during your stay in Kotor, why not climb the City Walls of Kotor, the Ladder of Kotor or for something completely different, try hiking the Vrmac Ridge. Afterward, you can visit any one of the numerous little villages, like Perast, dotting the coastline where you can swim, eat and relax. 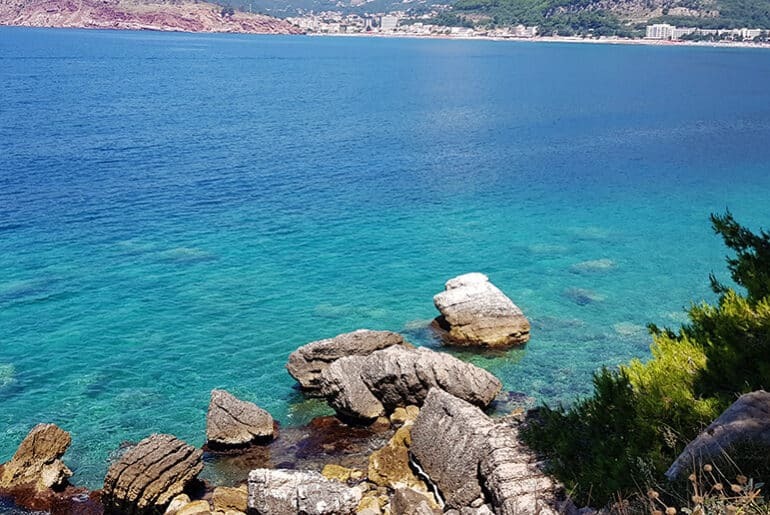 The storm had somewhat thwarted our plans of driving the whole way around the Bay of Kotor, so we headed back through Kotor and up to a wild camping spot on top of the Vrmac Peninsula. The road was pretty shocking as we wound up, up, up. One lane and huge potholes, but the view over Tivat was breathtaking. The Vrmac Peninsula is a limestone mountain jetting out like a finger in the middle of the Bay of Kotor, so we had Tivat on one side and Kotor on the other side. Already at the wild camping spot was a divine German couple, Walter and Laura, with their 6-month-old baby and in another van, two young Spanish guys. All of us extolling the wonders of the Park4Night app for allowing us to find this amazing place. Picture perfect views and an Instaworthy sunset. I had seen photos of Kotor taken from the Vrmac Ridge and was keen to get a shot across the bay showing the walls of Kotor all lit up. Laura was up for an adventure, so adorned with torches, Tai, Laura and myself set off. We started heading up through the forest, but couldn’t see an end to the trees, so backtracked and went down the old serpentine path instead. The path had a very gentle slope, wending its way through the forest and we could see the lights of Kotor twinkling through the trees. We must have walked nearly halfway down the mountain – in the dark! – until we could clearly see the amazing lit up walls, like an orange halo around the Old Town of Kotor. While I was taking photos, Tai was having great fun taking photos of a locust on my back! Yuck!! Photos done, we headed back up the mountain – still in the dark! The photos didn’t come out at all, but we had a great adventure, us three! The next morning we set out with the intention of hiking the Vrmac ridge on the Vrmac peninsula. I knew there was a relatively flat and easy hike from Fort Vrmac, the old Austria-Hungarian Fortress (42.421013, 18.749412) to Sveti Ilija peak (42.449561, 18.730736) and I couldn’t wait to see the stunning views of the Bay of Kotor from this high up. We took the path through the forest that we had started out on the night before. The forest was gorgeous and cool and we were enjoying ourselves. We soon came out of the forest and onto a path that had been cut between some high bushes. The path was starting to get narrower when we suddenly noticed the hugest spiders ever imaginable! And once we’d seen one, we suddenly saw them EVERYWHERE! Huge webs crisscrossed the path where we wanted to walk. Tai got a stick and tried to clear a path, but some were too high up to reach so we had to run underneath them. My skin was crawling at the thought of them possibly dropping down onto me. Up ahead was a Kiwi couple also rather unhappy about the spiders and deciding whether to continue or not. They said they also had the heebies and were going to cut their hike short. I didn’t need any more encouragement and Tai and I hightailed it back to the campervan. All I could think of was how we almost walked that same way in the dark the night before. We would never have seen the spiders in the dark and instead of a locust on my back, I’d be covered in spiders!!!! I did find out later that there was another path running parallel to our path, that we could have taken. This path overlooked the town of Tivat and was a wider dirt road without the dreaded spiders. If I had known at the time, we would definitely have given it a bash, as the scenery from up on the ridge really was spectacular and we were really keen for a nice long hike. This was one of the best wild camping spot ever! Right up on top of the hill/mountain, with stunning views of Tivat and the Bay. Lovely hikes from here. No facilities. Free. There is nothing but nature around, so stock up before you go up the hill. The road is quite steep and single lane, so be careful of cars coming in the opposite direction. Quite a few potholes as well, but we made it fine. 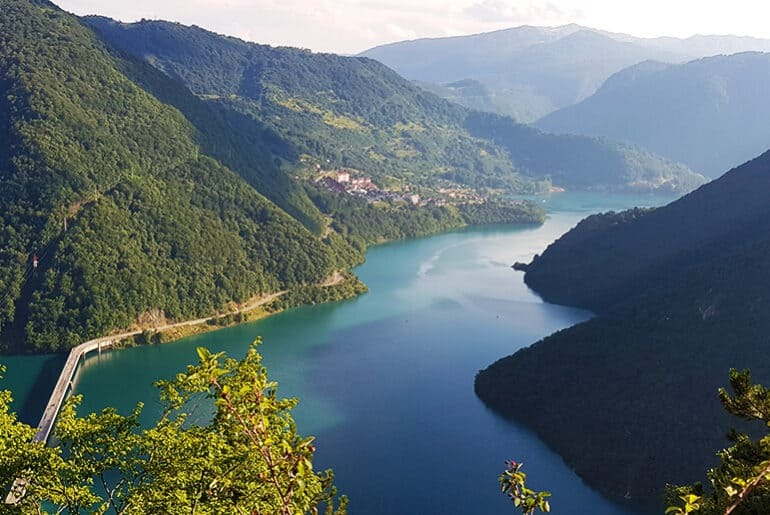 Durmitor National Park: The Best Road Trip I’ve Ever Done! 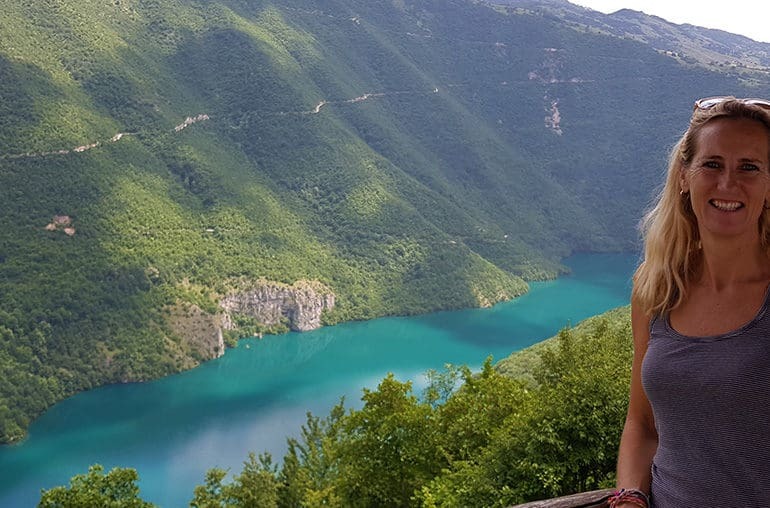 Let Us Know: Have you hiked the Vrmac Ridge, Montenegro? 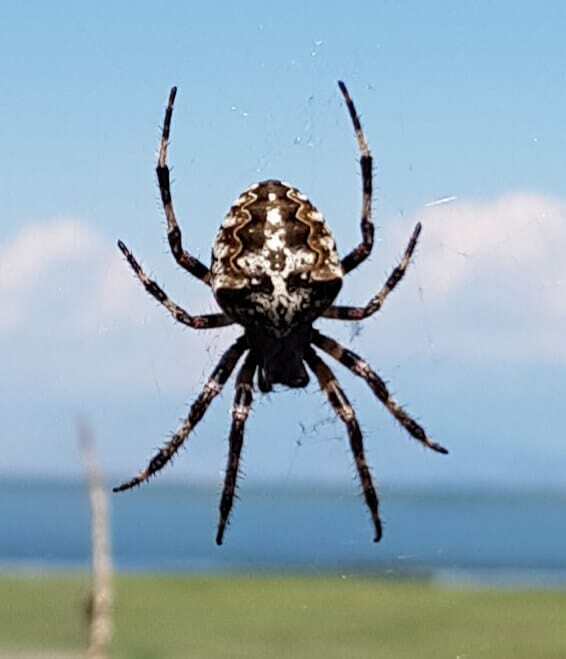 Did you also see spiders? Tell us in the comments!